"I have sat on a little oil drum, rusty and in the midst of garbage, and some black brothers and I have grounded together." - Walter Rodney In his short life, the Guyanese intellectual Walter Rodney emerged as one of the leading thinkers and activists of the anticolonial revolution, leading movements in North America, South America, the African continent, and the Caribbean. In each locale, Rodney found himself a lightning rod for working class Black Power. His deportation catalyzed 20th century Jamaica's most significant rebellion, the 1968 Rodney riots, and his scholarship trained a generation how to think politics at an international scale. In 1980, shortly after founding of the Working People's Alliance in Guyana, the 38-year-old Rodney would be assassinated. 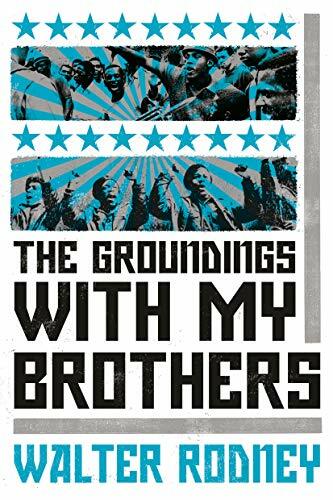 In this classic work published in the heady days of international black power, Groundings with My Brothers details the global circulation of emancipatory ideas, but also offers first-hand reports of Rodney's mass movement organizing. Introduced and contextualized by leading Caribbean scholar-activists, this updated edition brings Rodney's legacy to a new generation of radicals.